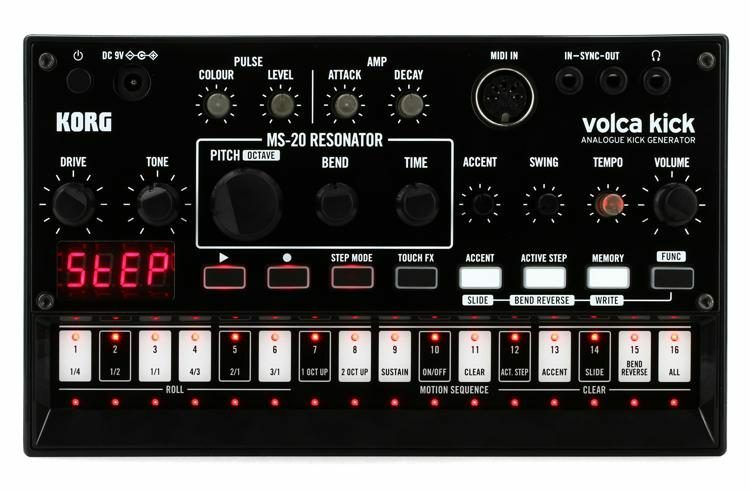 The volca series has consistently brought renewed attention to classic groove machines and historical synthesis. It now has a new focus. This time, it’s the most important sound in dance music: the kick. 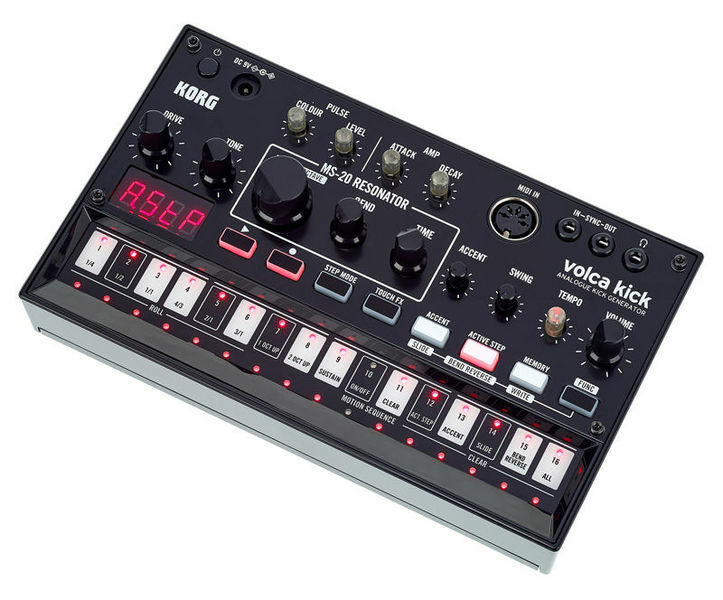 The volca kick is an analog kick generator that’s made for sound design. 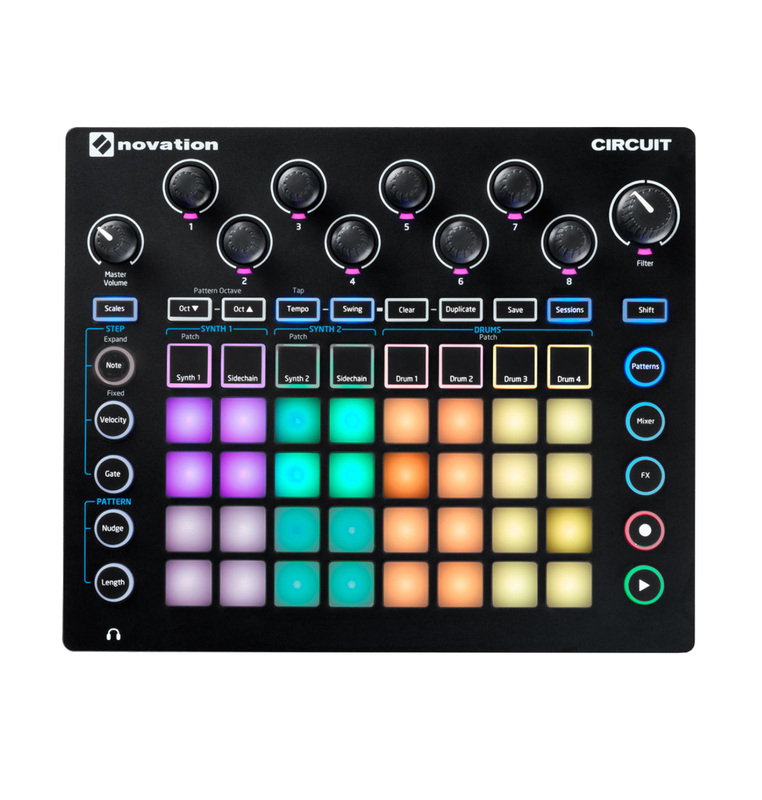 An analog circuit based on the powerful resonant sound of the original MS-20 filter, it lets you create a wide range of kick sounds only possible through analog circuitry, ranging from solid kick drums to crisp kick basses. The 16-step sequencer, a distinctive feature of the volca, now has a new Touch FX feature that lets you control an effect instantly, giving you even more live performance potential. Experience the stunning power of an analog kick that cannot be obtained from a plug-in or a sample. 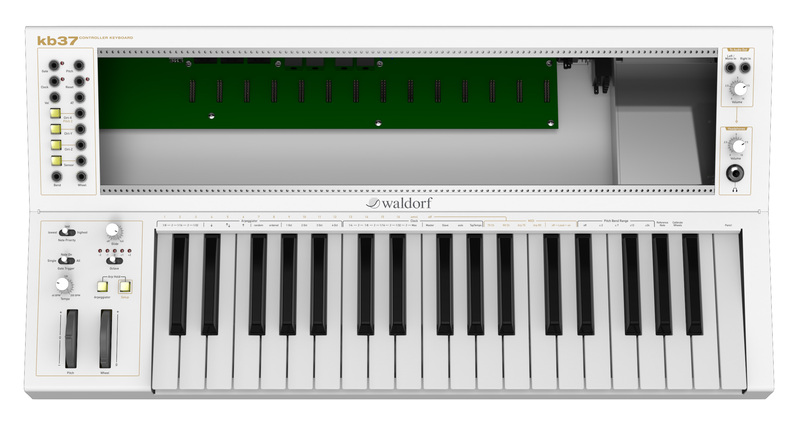 Simple and effective parameters are provided, allowing you to freely design a wide range of kick sounds to your taste. Start the sound design process by using MS-20 RESONATOR (PITCH/BEND/TIME) to control the sense of pitch that generates the “body resonance” of the kick sound. Then use PULSE COLOUR/LEVEL to adjust the clip components to control the sense of attack, and AMP ATTACK/DECAY to intuitively control the decay of the sound. From tight kicks to fat, slow-decaying kicks, and pitched kick bass, it’s possible to create kick sounds that are appropriate for every type of dance music. In addition to the analog kick generator circuit based on the MS-20 filter, there’s an analog drive that includes multiple stages of distortion. 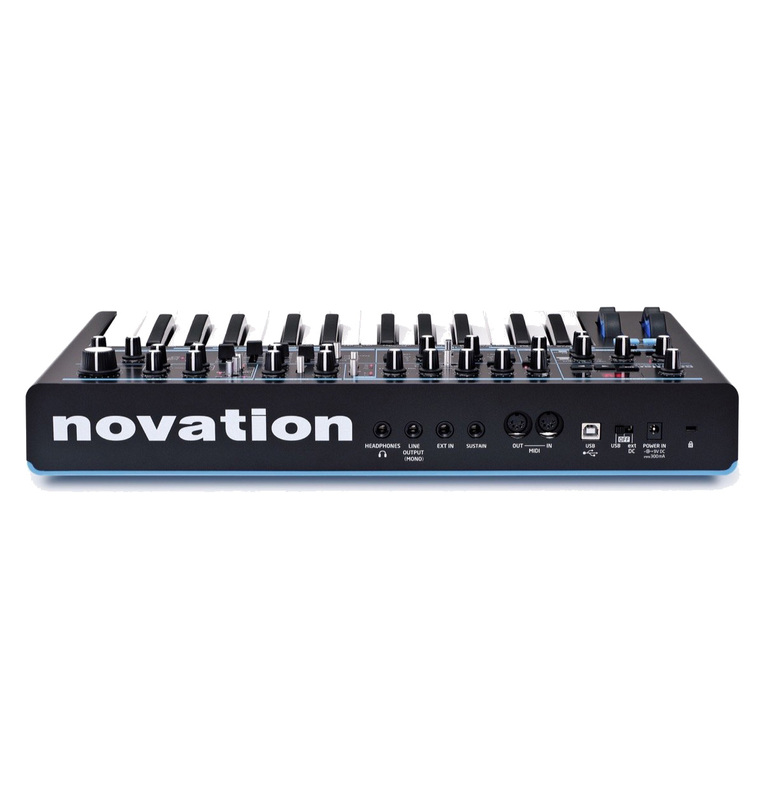 The distortion level and type can be varied by a single knob, increasing the variety and power of the kick sounds. 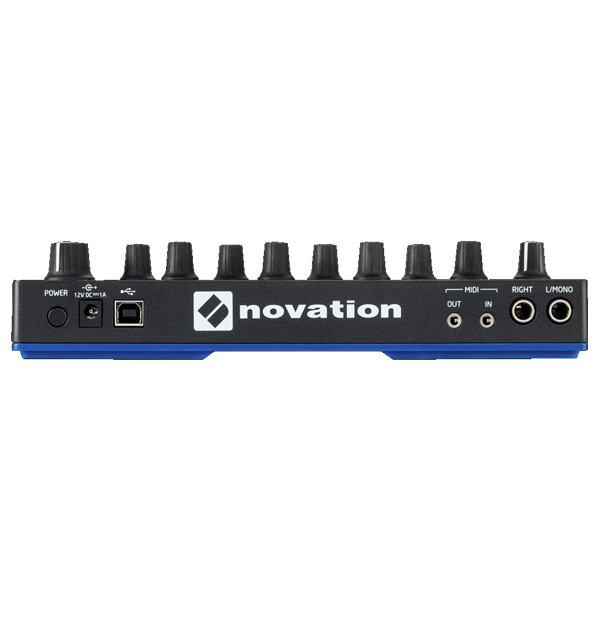 You can use the tone control to transform the character of the sound by adjusting the high-frequency range. The volca kick is not just a kick drum machine. 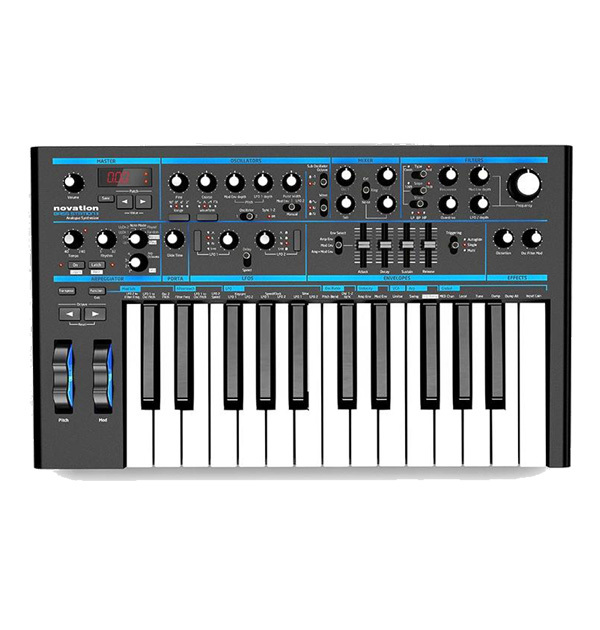 You can use the 16-key touch-panel keyboard to perform dynamic kick bass, and take advantage of the volca kick’s powerful analog circuitry to generate the sub bass sound that’s indispensable to dance music styles such as grime or trap. The volca kick provides a sync connector that can be easily connected to many of KORG’s other synths and groove machines. 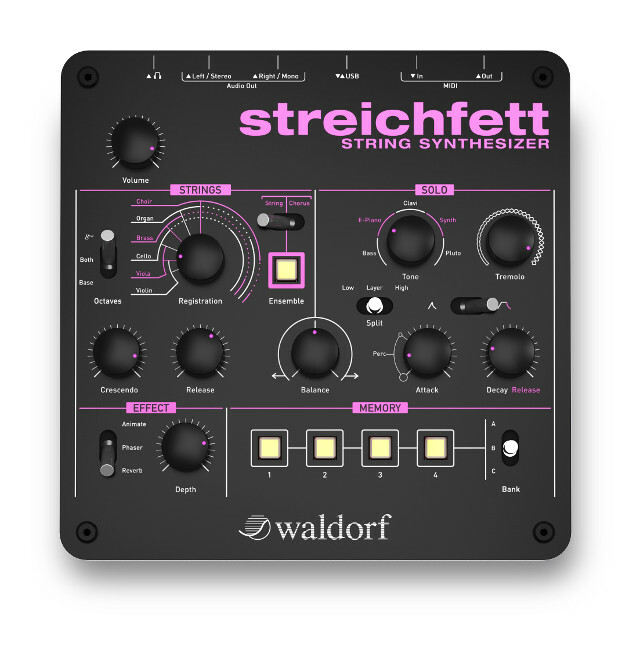 Connect to other volca units, minilogue, electribe or SQ-1, and experience a session with synchronized sequencer playback. 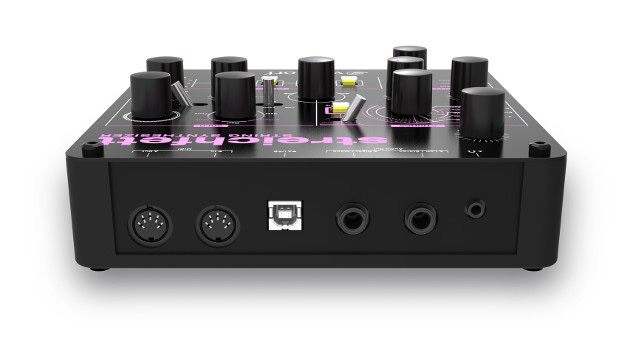 The MIDI IN jack lets you use the volca kick as a sound module for DAW and MIDI controller. With its compact size, battery operation, and built-in speaker, it’s easy to take the volca kick anywhere and perform any time.